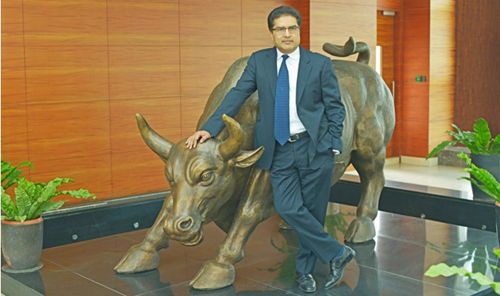 Multibagger Wealth Creator Stocks – Raamdeo Agrawal is a popular name on the Dalal Street. He is Joint Managing Director of brokerage firm Motilal Oswal (MOSL). He is a common man with uncommon Intelligence. He has created massive wealth from the stock market. After doing the extensive research he has released 22nd Wealth Creation Study Report (2012-2017). This wealth creation report provides information about Biggest and Fastest Wealth Creator Stocks. This report is an attempt to study past as a guide to the future, and to gain insight into various dynamics of stock market investing. Learning from the 22nd wealth creation report of Raamdeo Agrawal is given below. How to Find Multibagger Wealth Creator Stocks for Investment? Invest in the company that is available at a price substantially lower than their “Intrinsic Value”. Lower the market value compared to the intrinsic value, the higher is the margin of safety. Find out business with a good characteristic that will create value for the shareholders. Historical performance is equally important for the creation of wealth. One should look at past performance history of the stock before making an investment. The company should have a competitive edge over others and it should be durable. The business needs to innovate in order to maintain a competitive edge. The business with a high competitive edge is likely to grow and turned out to be multibagger. The profitability is very important for every company’s growth. The growth in company’s profit means an increase in its value. As stock price is a reflection of underlying value one should find out a company with high profitability cycle stage. It is very difficult to predict profit growth. However, with careful analysis, one can get a good idea about the increase in profitability. A company with a competitive edge and earnings growth enjoys a high quality of business, healthy return on equity and cash flows relative to peers. Another important factor is the management of the company. The management plays a key role in the growth of the company. Honesty, integrity, and dynamism are some indicators of good management. A mid-cap space is a good focused starting point to find multibagger stocks. One should look at the good mid-cap stock with competitive edge and growth potential. So, simple formula for finding multibagger stock is given below. As per wealth creation report study following are the biggest, fastest and most consistent stocks. Wealth creator stocks can be found in all kinds of market conditions. So, it is advisable that investors focus in identifying such stocks to invest in, rather than timing the markets. You can Download 22nd Wealth creation Report from Motilal Oswal website.